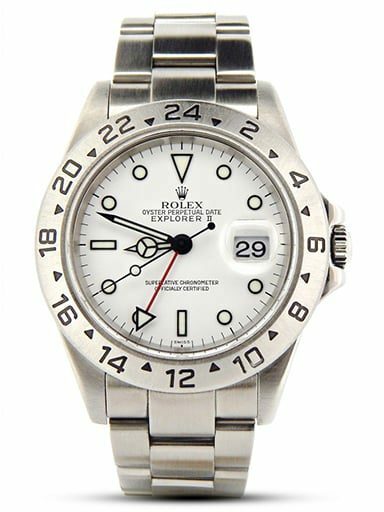 We offer a selection of Rolex Explorer II mens stainless steel preowned watches sized 40mm and 42mm with black or white face. Choose from a fine collection to fit your budget. Either way, a mens steel Explorer II timepiece is a robust watch you can count on.  Remember, we offer a 30-day money-back guarantee, free U.S. shipping, and available financing. Also, our Lifetime TradeUp Guarantee provides immense value for our customers. As a result, browse our collection of preowned Rolex watches with peace of mind. Also, we offer personalized customer service. So, please contact us if we can help. 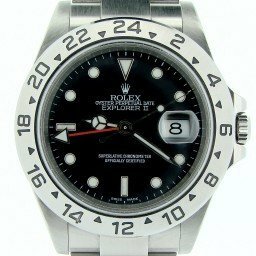 If there’s something that the Rolex collecting community loves, it’s a great nickname! Blame it on enthusiastic auctioneers, passionate forum participants, or marketing minds, but Rolex watches—more than any other watch brand—have some of the most interesting nicknames around. 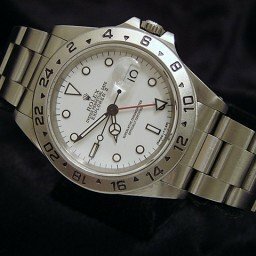 Here we take a look at three popular nicknames of the Rolex stainless steel Explorer II. The “Steve McQueen” Rolex refers to the inaugural Explorer II ref. 1655, which made its debut in 1971. This is a tricky one because there’s seems to be no evidence that The King of Cool ever wore a stainless steel Explorer II! In fact, his go-to Rolex was a stainless steel Submariner. However, the legend goes that an Italian magazine misprinted that he was wearing an Explorer II ref. 1655 rather than correctly stating that he was wearing a Submariner ref. 5512. Nevertheless, the incorrect name stuck and it’s very common for the vintage stainless steel Explorer II ref. 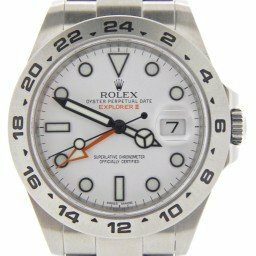 1655 to be referred to as the “Steve McQueen” Rolex. Also a name attributed to the Italians, is the “Freccione” Rolex. 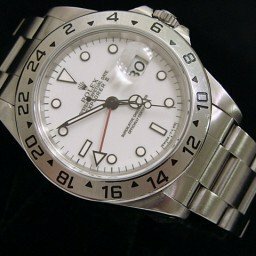 Again, this nickname is used for the same vintage stainless steel Rolex Explorer II ref. 1655. But this time, its origin is correct. Freccione is derived from “freccia,” which is Italian for arrow. And arrow, of course, alludes to the prominently displayed orange arrow-tipped 24-hour hand of the stainless steel Explorer II ref. 1655. This bright orange arrow allowed wearers of the Explorer II ref. 1655 to differentiate between daytime and nighttime thanks to it pointing to the 24-hour marked bezel. This function was particularly practical for adventurers such as cavers who spent extended periods in darkness. 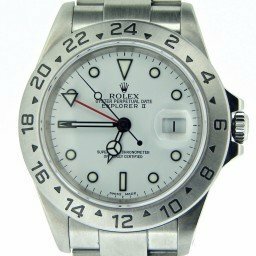 While the first stainless steel Explorer II was only offered with a black dial, from the mid-1980s onwards Rolex offered a white dial version too. 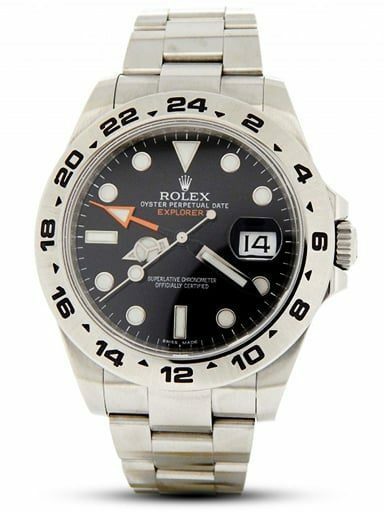 Therefore, the Explorer II ref. 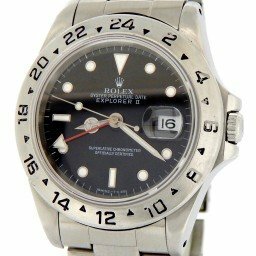 16550, Explorer II ref. 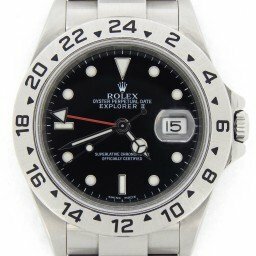 16570, and Explorer II ref. 216570 all have white dial variations in addition to the black ones. 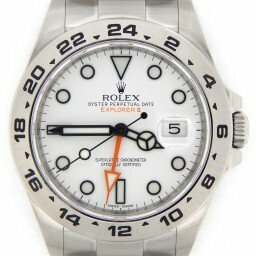 So, while the “Polar” nickname can suggest any white dial version of the Explorer II, it’s typically in reference to the Explorer II ref. 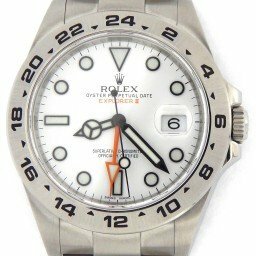 16570 and Explorer II ref. 216570. The Polar name is especially fitting for the icy white dials of the sporty stainless steel Explorer II watches. 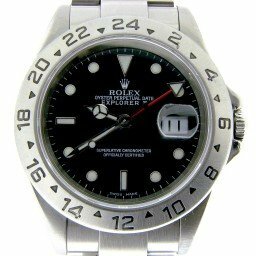 Whether you choose to use the Steve McQueen, Freccione, or Polar nicknames or not when discussing these particular Rolex models, what is certain is that the Rolex Explorer II mens stainless steel timepiece is one of the coolest sports watches from the brand. Possibly one of the most niche models from Rolex yet, the Explorer II was created with the spelunker in mind—a person who explores caves as a sport. As you can imagine, spelunkers have some very particular gear requirements due to the nature of caving. For example, they are often in the dark and in wet environments. 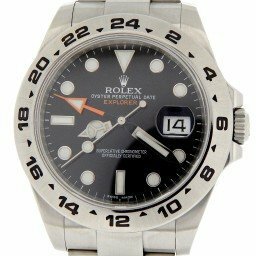 So, in the 1970s, Rolex looked to service this particular group of adventurers with the Explorer II watch. Let’s investigate the four references of the Rolex Explorer II and the collection’s evolution. Unveiled in 1971, the first Explorer II model was the ref. 1655 with a 40mm stainless steel case, 24-marked fixed bezel, black dial, and an orange arrow-tipped extra 24-hand. The premise behind the 24-hour hand was it would allow cavers to tell the difference between night and day even while they were in complete darkness for extended periods of time. To withstand arduous surroundings, the Explorer II ref. 1655 is crafted in stainless steel and is water resistant to 100 meters, thanks to the watertight Oyster case. Also, just like the GMT Master of the era, driving the 24-hand, time, and date function of the ref. 1665 is the Caliber 1570/1575. It’s interesting to note that while the ref. 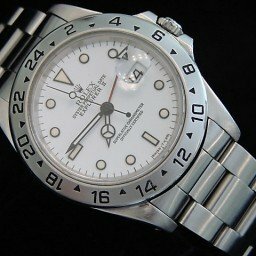 1655 did not do well during its era, it’s now a highly sought after vintage Rolex sports watch and it’s often referred to by its nicknames. There’s the (erroneous) “Steve McQueen” moniker, as well as the Italian “Freccione” label. In 1985, the Explorer II ref. 16550 brought a slew of modifications to the model. In fact, the face of the watch completely changed. Gone were the 24 lume plots in favor for 11 luminescent indexes. Plus, the Explorer II ref. 16550 included Mercedes-style hands, sapphire crystal, Caliber 3085, and a longer and thinner red 24-hour hand. Even the numerals on the bezel changed. 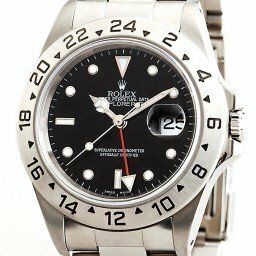 For more choice, Rolex offered both a black dial and white dial version of the Explorer II ref. 16550. 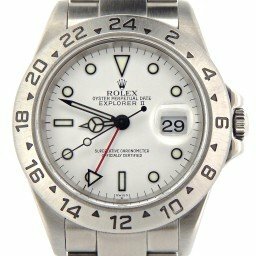 Rolex enthusiasts sometimes call white dial versions of the Explorer II the “Polar.” The Explorer II ref. 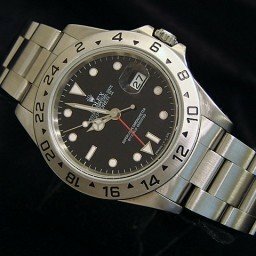 16550 was only in production until 1989, thus considered a “transitional” model. 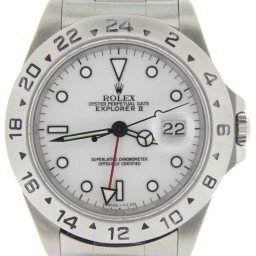 Although these newer Rolex Explorer II versions had a similar look to the previous ref. 16550, the white dial versions of the Explorer II ref. 16570 included black surrounds on the indexes. In production for over two decades, early models of the Explorer II ref. 16570 ran on Caliber 3185. On the other hand, not only did later models have the then-new Caliber 3186, they also featured the new “ROLEX ROLEX ROLEX” engraved rehaut for counterfeit prevention. On the occasion of the Explorer II’s 40th anniversary, Rolex presented the ref. 216570 in 2011. And in true Rolex fashion, the watch paid tribute to the original Explorer II while also presenting completely new features. The Caliber 3187 powers the Explorer II ref. 216570, and measures larger at 42mm. However, as a nod to the inaugural model, both the white and black dial versions of the Explorer II ref. 216570 boast an orange arrow-tipped 24-hand. With great style and a rich legacy, the Rolex Explorer II mens timepieces may have had a slow start, but they currently enjoy solid popularity. 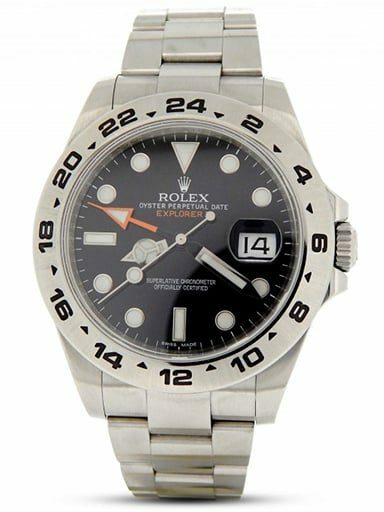 Even if the only spelunking-like activity you engage in is enjoying the darkness of your man cave, the Explorer II is a great Rolex sports watch to own.